On February 5, the California Avocado Commission joined culinary and supply chain personnel from Southern California-based restaurant chains at MarketVision’s Chain Gang Meetings. 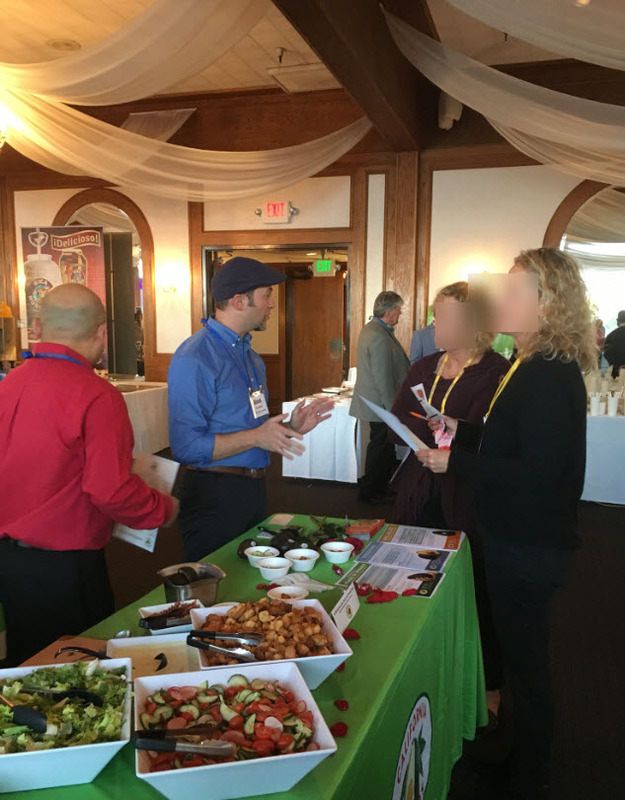 The event at The Reef Restaurant in Long Beach, California, provided the Commission an opportunity to meet corporate and executive chefs, as well as purchasing and supply chain personnel to discuss the advantages of adding premium fresh California avocados to menus. CAC’s foodservice team discussed the fruit’s seasonality and versatility while attendees enjoyed fresh samples of California avocado recipes at the Commission’s booth. In addition, the CAC foodservice team informed restaurant industry members that California residents are attuned to the origin of avocados and discussed the “halo effect” of fresh California avocados on the menu due to consumers’ positive associations with the brand. The event was a success, with the Commission securing 21 new contacts, including representatives from: California Pizza Kitchen, Disneyland Resort, Galardi Group, Grinder Restaurants, Lazy Dog Restaurant & Bar, Lemonade Restaurant Group, Norms Restaurants, Pepe’s Mexican Food, Philly’s Best, Rubio’s Restaurants, SuperValu, Wood Ranch Corporate and Yoshinoya America. The CAC foodservice team discusses the value of California avocados on the menu with a Chain Gang operator attendees.